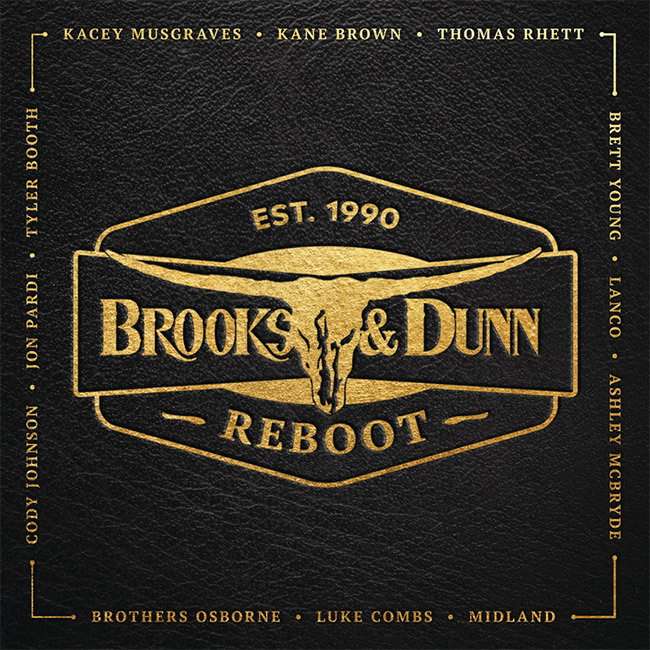 Brooks & Dunn are back with a new album, Reboot, coming April 5th. The album features some of today’s hottest country stars teaming with the legendary country duo, Kix Brooks and Ronnie Dunn. The project includes 12 newly recorded B&D hits with Kacey Musgraves, Kane Brown, Thomas Rhett, Brett Young, Lanco, Ashley McBryde, Midland, Luke Combs, Brothers Osborne, Cody Johnson, Jon Pardi and Tyler Booth. It was the first time since 2007 the duo hit the studio together. Dann Huff is producing the project. “Brand New Man” featuring Combs and “Believe” featuring Brown have been sent to radio for immediate airplay. No other tracks have been revealed as of press time, but edgy-rock intensity to heartbroken EDM and retro honky-tonk fun to the exposed nerves of a reflective acoustic ballad emerged from top-secret recording sessions over the past year. The album will be released via B&D2, LLC, under exclusive license to Sony Music Entertainment. Album bundles are available via the duo’s webstore. The new album will be duo’s first studio album since 2007’s Cowboy Town. The superstar duo called it “quits” back in 2009 following a tour and a two disc compilation album. They’ve each released their own projects and then reunited for a Las Vegas residency with Reba McEntire in 2015 that continues with six dates this summer at The Colosseum at Caesars Palace. Reba, Brooks & Dunn: Together in Vegas has been named the longest running country music residency at the venue. The duo also shared “Reboot is coming” with a pic of an audio console. B&D have also been tapped as Battles Advisors on Season 16 of NBC’s The Voice. They join Team Blake on the upcoming season, E! News first revealed. The Voice returns Monday, February 25th at 8 pm ET/PT on NBC.